Hmmm buttery goodness! I’ve got to admit it’s a weakness of mine, I really love the taste of butter! 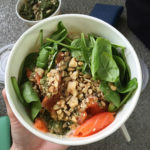 But I hardly ever buy it… this is one of the strategies I’ve set for myself, enjoy it once in a while, but go for a healthy butter substitute most of the time! Why? 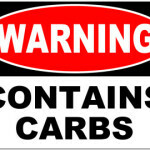 Butter is high in saturated fat, which has been shown to increase cholesterol levels which can lead to heart disease. And no, despite all the hype out in pop culture, butter’s not back as this blog post explains! 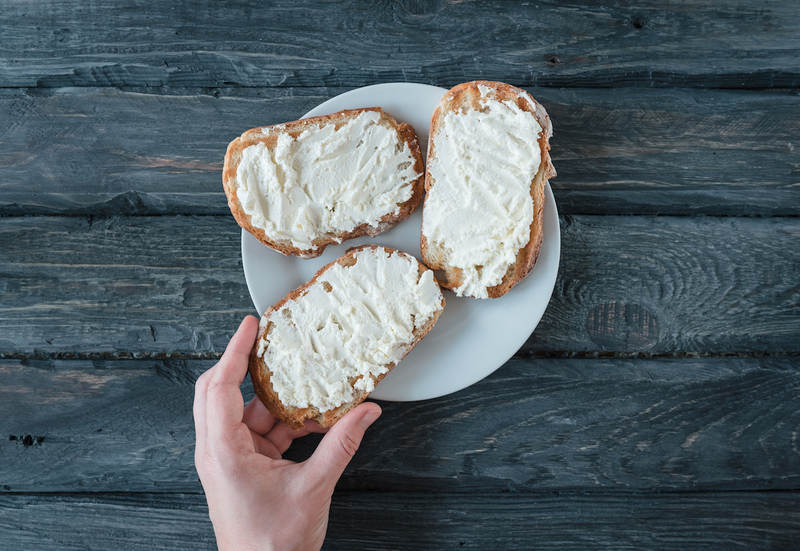 It’s best to keep saturated fats (like butter) to a minimum, and choose a healthy butter substitute that contains mainly unsaturated fats, like canola, olive, sunflower, peanut oil, or nuts and avocado. Hope you enjoy this list of my 16 favourite and delicious ideas for a healthy butter substitute! Olive oil has been shown to reduce risk of heart disease when used as a healthy butter substitute. 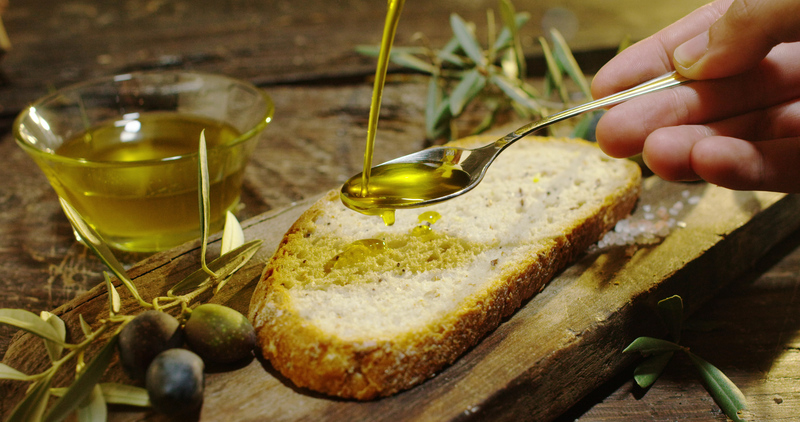 You can use the olive oil spreads available in supermarkets as an antioxidant-rich margarine; make sure you keep it to just 1-2 teaspoons at a meal though! If you want to be even healthier, olive oil straight up from the bottle is even better than the spread 😉 it tastes amazing with balsamic vinegar, just like in fine dining restaurants. You can also use it as an effective and healthy butter substitute in pasta sauces and mashed potato to reap the benefits of this amazingly yummy and healthy oil. Hmm delicious avocuddle goodness that makes you all warm and fuzzy! If you haven’t tried, you’re missing out on this natural healthy butter substitute big time! It really tastes like nature’s butter in the most delicious way! 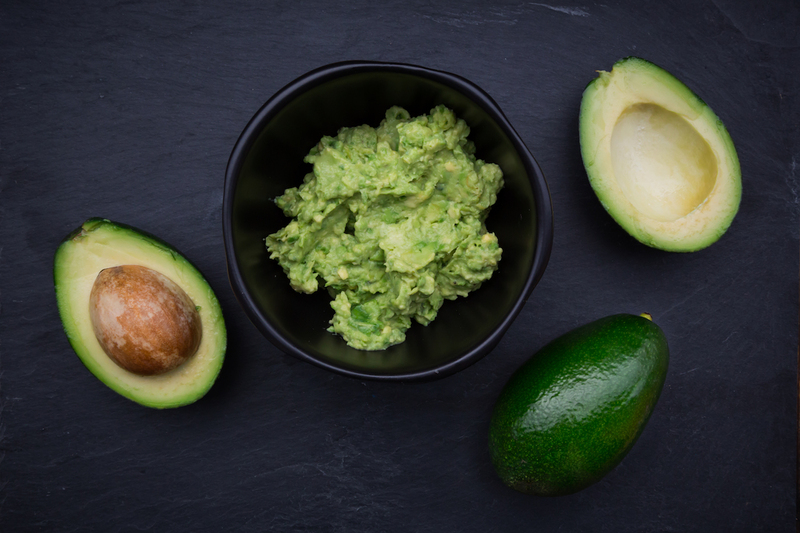 Spreading avocado on your bread is just as tasty and provides a dose of vitamin K, potassium and plenty of healthy fats. Plus you don’t have to be those millenials paying for overpriced avo on toast; make it yourself cheap! 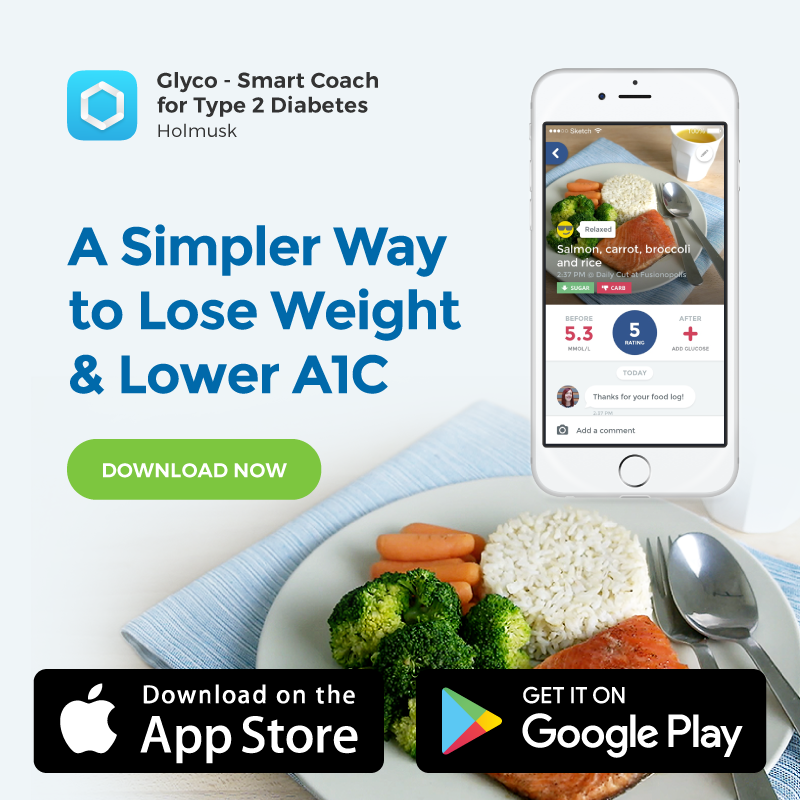 While high in fat, it’s monounsaturated fat – the healthy kind – which helps to lower LDL cholesterol and increase good cholesterol. Try to keep it to 1/2 an avocado as one serve, or you can try guacamole if you’d like some zing. You can use it as a baking healthy butter substitute too: sub in equal parts puréed avocado for the amount of butter called for in your baked goods. 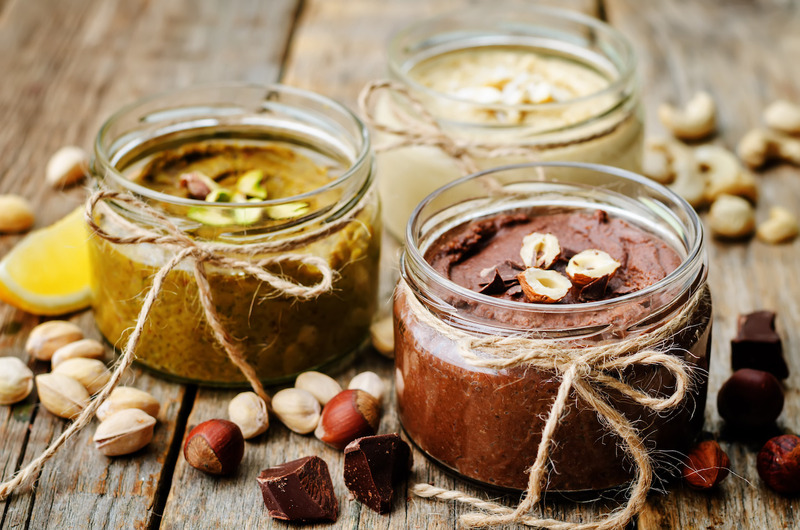 There are so many more than just the plain old peanut butter; you can find almond, cashew, walnut, and other nut butters, and all of them taste delicious! Want a substitute for nutella? Just blend up peanuts, hazelnuts and cocoa powder for your own healthy version sans added sugar and oil! Browse this list for some great recipe ideas to make them for a lot cheaper at home; note that the oil and salt they mention are not essential 🙂 . There may be separation of the oil at the top over time, this is perfectly normal so just mix it in before you scoop it out. Naturally low in fat, ricotta cheese can be a great healthy butter substitute. Other ideas include reduced-fat cheese slices, low-fat cottage cheese, low-fat cream cheese. You can blend these up with beetroot to make a delicious beetroot dip, or add a small 1/2 tsp honey to sweeten the ricotta. Do watch out for the sodium content though; try to choose one that’s not too high sodium compared to other brands if possible! 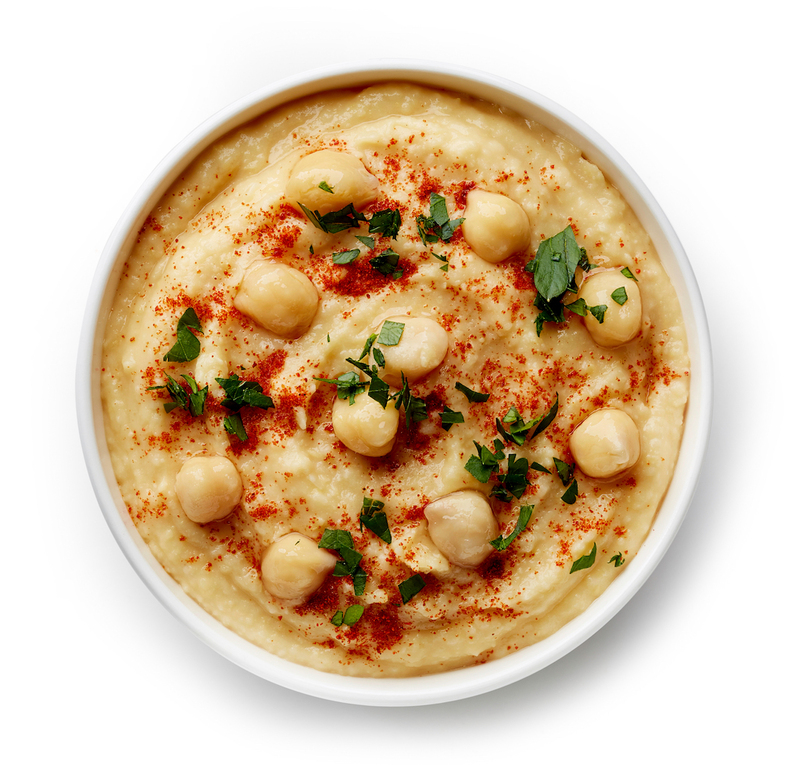 I love chickpeas, and hummus can be a really delicious and high protein healthy butter substitute for your next morning fix! Get Ashley’s super healthy and easy hummus recipe here. Here’s a lovely recipe idea for a super healthy idea that has the same mouthfeel of butter minus the saturated fat, plus an extra dose of natural sweetness! This one is great because it has no sugar added, instead relying on lovely spices to flavour it naturally! Salsa is low in fat, chilli con carne can be deliciously high in iron (just use lean mince! ), while pesto is rich in antioxidants from the olive oil and parmesan. 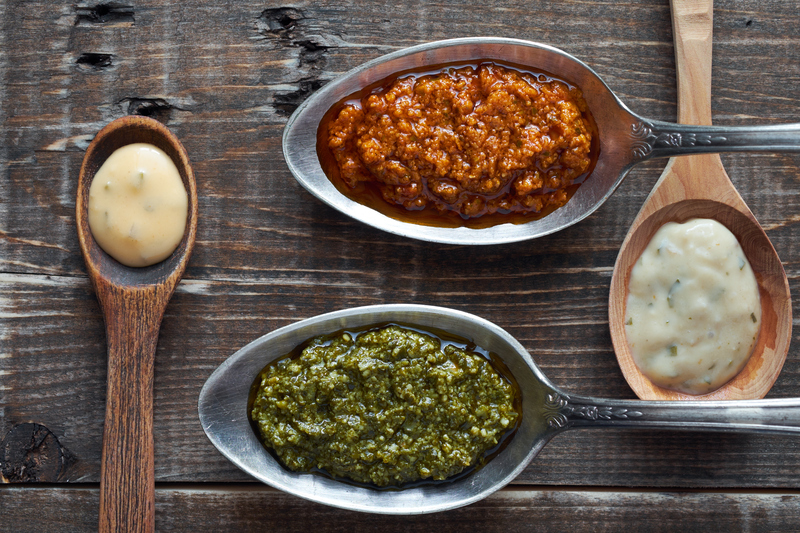 When buying these sauces commercially, make sure you choose a brand that’s lower in sodium, and stick to a smaller amount! Instead of using mayo to moisten the boiled eggs, how about some hummus, tzatziki made with low-fat yoghurt, mustard, peanut butter/sesame dressing (mix olive oil with peanut butter or sesame paste), ricotta, cottage cheese, low-fat cream cheese or sour cream, or avocado for a healthier fat to moisten your egg? Turn your breakfast into a divinely delicious Greek fest by adding tzatziki onto wholewheat pita or just toast. 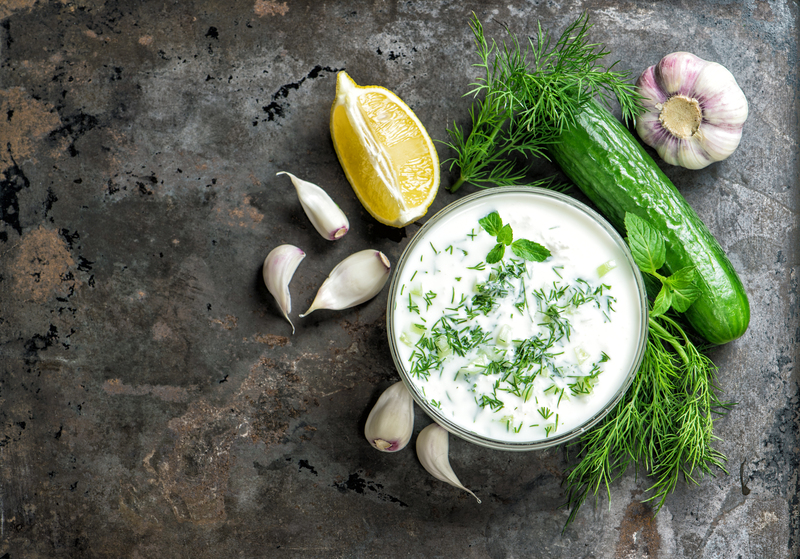 Tzatziki lends a very rich taste with a pleasingly mild and unexpected tang. 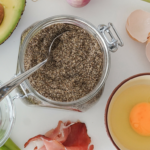 Get a super easy recipe here from Dietitians Association of Australia. Sardines, tuna, salmon, mussels…Delicious and convenient protein source that’s cheaper than usual fresh fish to boot! 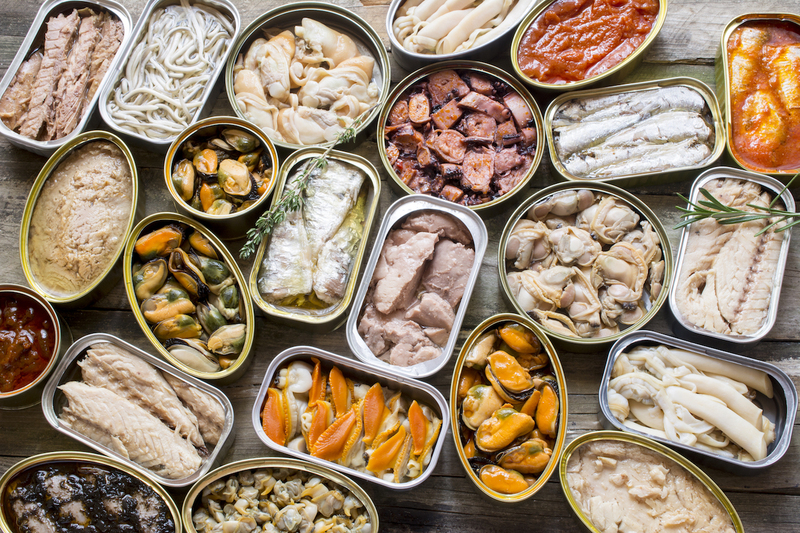 Make sure you choose the fish canned in water or healthy oil, and ideally with no salt/sugar added. Use herbs and spices to flavour the fish yourself! 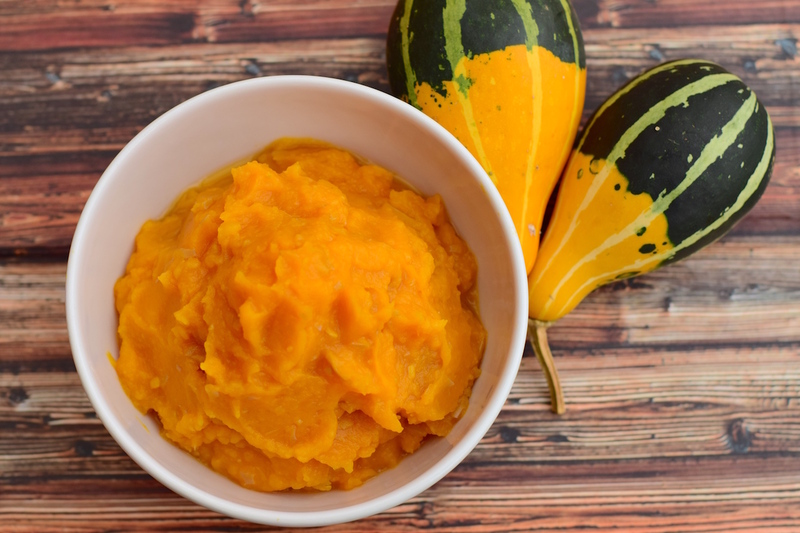 Pumpkin purée works great in recipes like bread, cakes, or brownies. Similar to the more well-known healthy butter substitute of applesauce, but with a more complex flavour profile. Pumpkin purée can add more flavor complexity than butter plus come with a whole box of nutritional benefit. 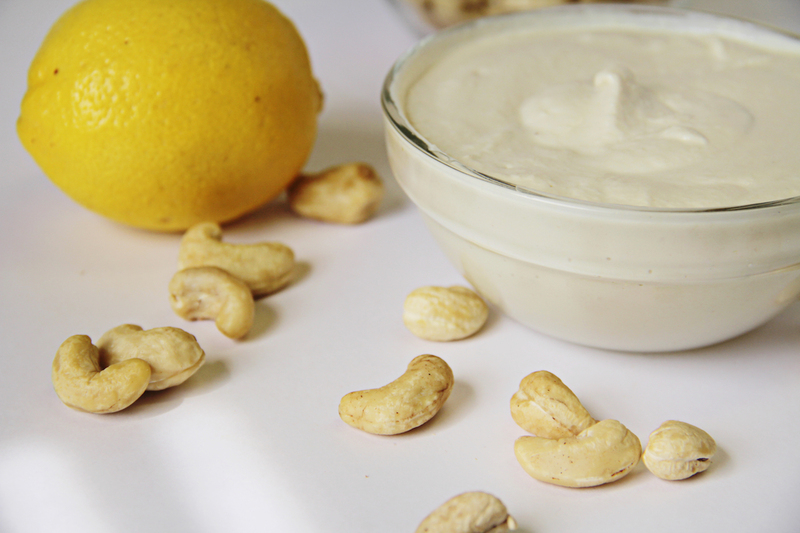 The creamy velvety texture of cashew cream works a treat in baked goods like fudges or brownies. It’s almost a 1:1 replacement you can use, but for more tips on how to do it head over to this blog. 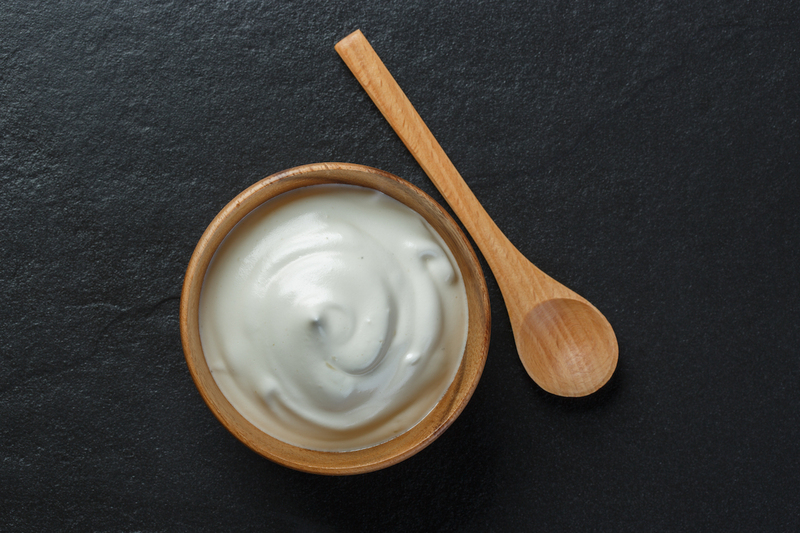 Greek Yogurt can be a perfect healthy butter substitute. It’s high in protein, vitamin D, calcium, and bacteria that are good for your gut (of course probably not if you bake it for too long!). You can use it almost cup to cup as a replacement for butter, which will let your baked goodies retain more moisture and have a finer crumb. 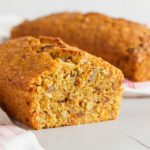 A great recipe to use Greek yoghurt as a healthy butter substitute is in banana cake. 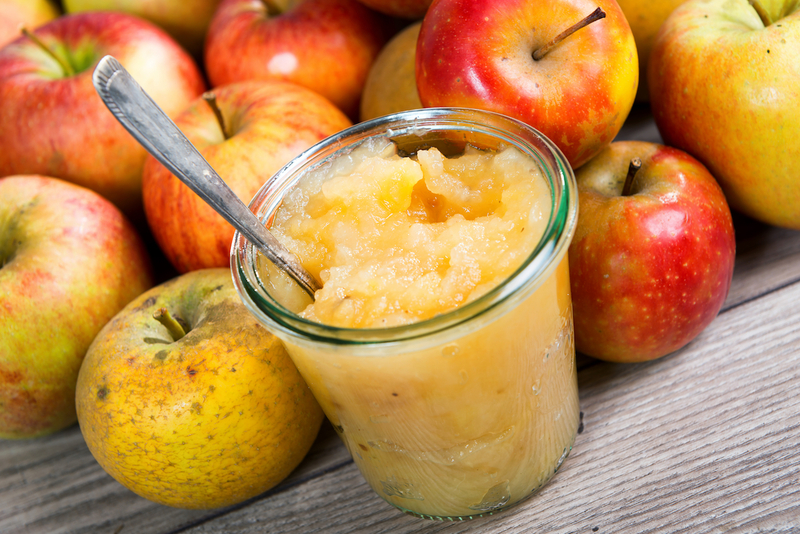 On its own, applesauce tastes like baby food, but it works wonders in baked goods to become dense, moist and because it’s naturally sweet, you can add less sugar as well! 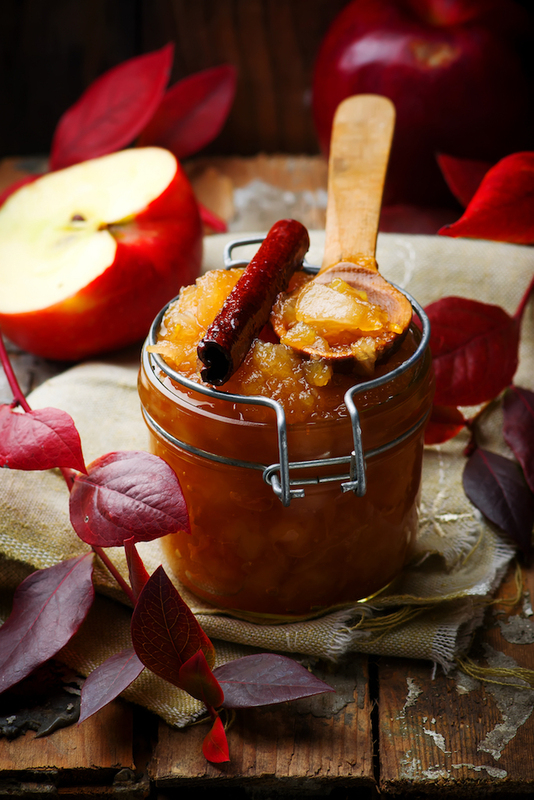 You can make your own applesauce here. In certain recipes, replacing butter with oil can be great, especially if the recipe calls for melted butter. I’ve had success substituting 3/4 cup of canola or olive oil for every cup of butter required in a recipe. 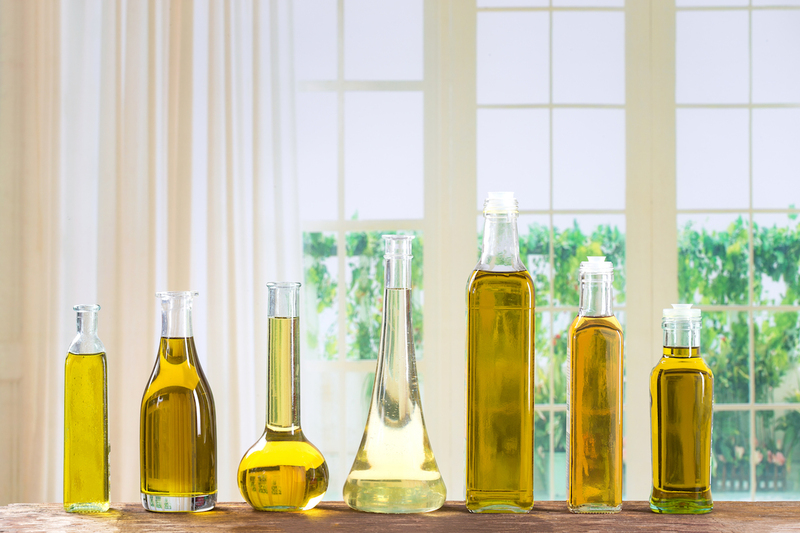 As it is slightly higher in calories and fat (because it is pure fat without water, like butter does), both canola and olive oils are much lower in saturated fat, cholesterol, and sodium. That’s why you’d use only 75% of the oil to replace the butter. Olive oil works well in earthy recipes like zucchini or carrot cakes, while canola oil might be better for things like cookies that require a more neutral taste. Other than helping with constipation, prune purée also makes for a great a low-calorie and low-fat healthy butter substitute. Whatever amount of butter the recipe calls for, replace it completely with prune purée (or you can blend it yourself in a food processor). 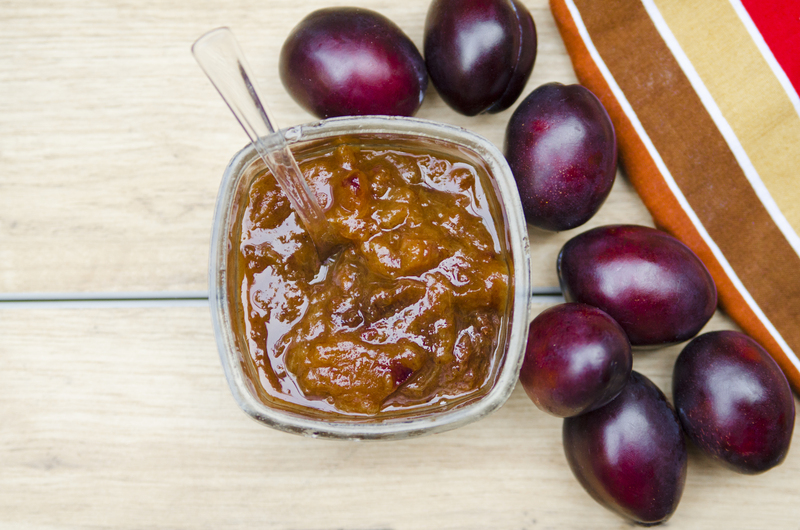 Prune purée is perfect for recipes with chocolate and cinnamon, like chocolate or carrot cake. With such a diverse range of healthy butter substitute ideas, there’s no excuse not to cut those saturated fats from of your diet! 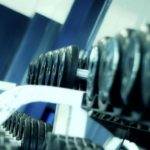 Previous Previous post: Does Weight Loss Hypnosis Actually Work? 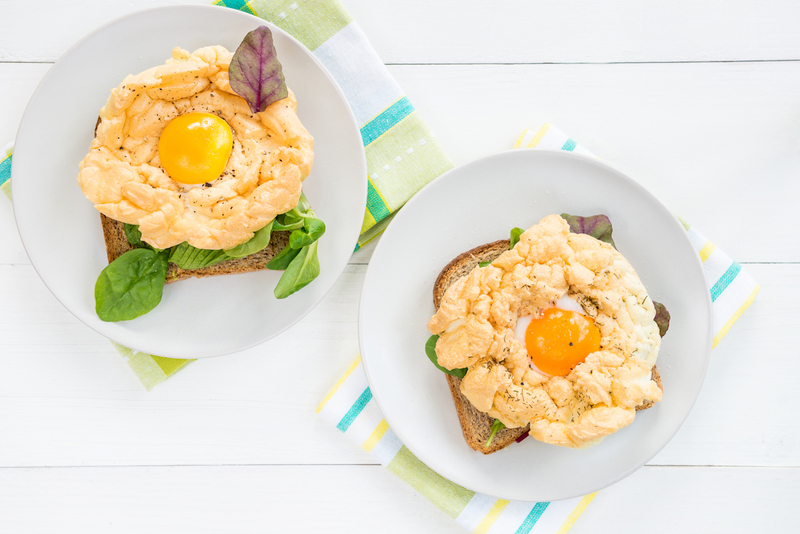 Next Next post: Egg Spinach Muffin – Breakfast on the go! The Famous Sugar Free Carrot Cake Recipe!